“What’s an RA?” my mother asked, pointing to the bulletin board that read “Meet Your RA!” hoisted upon the white cinderblock wall. I sighed. 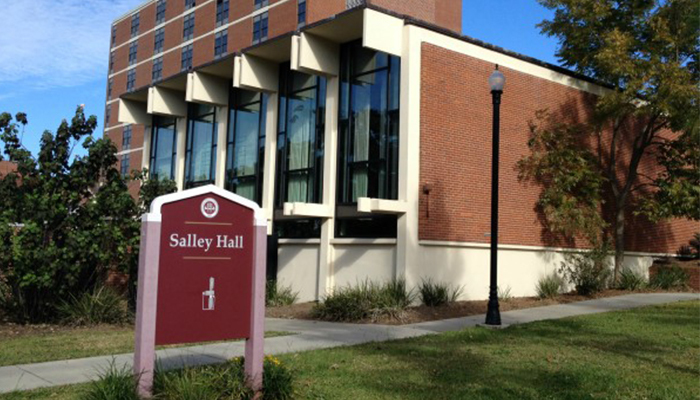 It’s not that she annoyed me or that I was losing my patience—it’s that I don’t think any of the other parents moving their kids into Salley Hall or the other dorms at Florida State University ask questions like this. They had their own all-American, living-on-campus college experience and still knew the basics 25-30 years later. Maybe the kids they were moving in had older siblings that helped them remember the ins and outs of dorm life. I didn’t fall into the category of a first-generation college student. My mother had a degree in business administration and my father had a doctorate. He even taught as a professor for the better part of my childhood. My parents got married young and lived together while attending college. My older brother stayed at home for college, attending the school and majoring in the field our parents wanted. Then there was me. I decided on FSU after going on a campus tour during the hottest day of the year in Tallahassee, falling in love with the school immediately. I chose to major in theatre. FSU has one of the top 10 theatre programs in the nation. Tallahassee looked nothing like the central and south Florida I knew. It felt like I was paying in-state tuition to go to an out-of-state school. Excited to experience college for myself and live somewhere outside of the suburbs of Orlando for the first time in seven years, I put down my deposit. My parents protested, saying that the more financially reasonable decision meant staying at home. Plus, they added, I wasn’t mature enough to leave. No one in my family had ever gone off to college before, not a single aunt or cousin. Many first-generation Hispanic immigrants simply couldn’t afford it, plus they put emphasis on the family staying together. Entire families didn’t leave cities for half a century. If you did, why would you want to leave? You can’t find a job here and stay close to your family? You just want to leave, don’t you? Leave your mother all alone here. Since I grew up with a parent in the military, my childhood already broke the traditional mold. I lived in six cities in five states, none of which being Miami, Florida. With one tradition broken and a few more to go in my crash course of Americanization, to Tallahassee I went. “Oh, that’s great! At least you have someone to ask if you don’t know where something is,” my mother replied. “And it’s good if someone in your room is acting up, or someone is being loud at night or something,” my father added. Beware getting hit in the face by your roommate while sleeping if your beds are positioned close. Extending your arm while rolling over can also mean smacking someone. If someone in your dorm gets laryngitis, you will get laryngitis. There is no point in denying or acting like a certain amount of Emergen-C can stop fate. Always put clothes on after you get out of bed. You don’t know who your suitemates might have over in the common area. This included walking to my bathroom in my underwear in front of my suitemate’s boyfriend. I haven’t been allowed to forget it. Conversely, make sure everyone is clothed and decent before bringing a boy over to your dorm, especially if it’s unexpected or at night. I brought a boy with me and didn’t realize my suitemate was laying on her bed without clothes with her bedroom door open. Kudos to him for saying hi and looking away to try to make things less awkward. If you or anyone else is stressed, going through a breakup or experiencing a mental health issue, it shows. You can put on a happy face that says “hey!” when someone comes back from class or a club meeting, but it will show in how late you get out of bed, the stack of dirty dishes that you are not alone in what you go through. pile up and the sound of you crying through the paper-thin walls. Everything is out in the open. However, it shows that you are not alone in what you go through. Accidentally leaving food out in the open will attract cockroaches or other insects and your residence hall may or may not have effective pest control. You will need to take matters into your own hands. Coming someone who hates bugs, it’s terrifying. Through its ups and downs, you’ll remember these college experiences for a lifetime. It helps shape us into the adults we strive to become. It also helps you give some solid advice for someone younger you know that may live on a college campus. For example, if you can find a way to not use a meal plan and cook your own food instead, it’ll save money. Plus you’ll like what you’re eating much better because you can choose it. Living on campus gave me experiences that made my freshman year memorable and helped me take responsibility for my own time and upkeep of my space. I recommend it to any incoming college students. If I have kids of my own someday, I’d want them to experience it, too.